This blog is a critical appraisal of the following randomized trial: The effect of physiotherapy on shoulder function in patients surgically treated for breast cancer: A randomized study. Breast cancer is currently the most prevalent cancer among women worldwide with over 50,000 women, within the UK alone, being diagnosed every year (Breast Cancer Now, 2016). The survival rate of women diagnosed with this type of cancer is increasing year on year due to the variety of treatments which can be used. 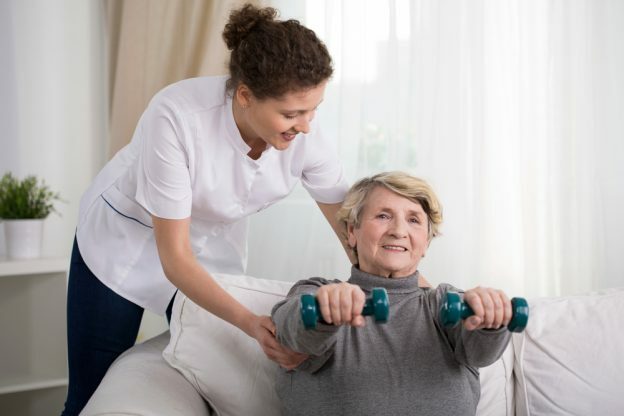 Research has been undertaken to evaluate the effectiveness of physiotherapy on upper limb function by using control groups, in which one group receives more intensive physiotherapy input. However, much of the research undertaken considers how to minimize breast cancer patients from getting lymphoedema after surgery by using physiotherapy rather than the general effects of upper limb function post-surgery. One study concluded that there was a gap in research undertaken which specifically considered shoulder mobility post-surgery (TENGRUP, I., et al 2000). A total of 139 patients were enrolled within this trial as they met the inclusion requirements. Fourteen patients later dropped out due to various reasons resulting in 125 patients completing the trial. The intervention consisted of the patients being enrolled into either group A or group B. Both groups were offered standard physiotherapy treatment within the ward and were also offered team instructed physiotherapy group sessions which consisted of 12 sessions lasting 60 minutes each, two sessions per week. Group A’s intervention commenced during weeks 6-8 post operation. This differed to group B as their intervention did not commence until 26 weeks post operation. The same two physiotherapists were included to instruct the group exercise sessions and the exercise programme used was specifically constructed for this research. Therefore, no individual therapy was applied. All patients were seen post-surgery in weeks 6, 12, 26 and 56 by the same physician, therefore increasing reliability of the outcome measure. At these examinations, the patients’ shoulder mobility was assessed by using the Constant Shoulder Score outcome measure. The physician compared the score on the operated arm to the contra lateral arm, so they could gauge a baseline score. All patients were randomised into their group individually by a computer-generated programme and their placing was kept by a third person, who was not part of the trial, in sealed, opaque envelopes. The results of this study found that there was no difference in shoulder function between groups A and B pre-operatively and at the first follow-up. However, at the second and third follow-up examination, it was found that group A had significantly better shoulder function than those in group B. Nevertheless, at the fourth follow-up, after both groups had commenced the group physiotherapy treatment, once again there was no substantial difference found between the two groups. To be able to critically appraise this study effectively, the Understanding Health Research tool for analysing health studies was used. This study has a clear research question and aims which include covering the aspects of population, intervention, control group and outcome measures. The researchers created a trial protocol prior to starting, which means that the methods could not be changed throughout the study as this could affect the results. This research explains in detail the reasons why some of the patients dropped out of the trial allowing them to be accounted for. The study states that all patients were randomised individually by a computer-generated programme. These allocations were undertaken by a third-party member who was not part of the trial to try and keep it blinded. However, throughout the study, there is no mention that the patients have been blinded so that they are unaware of which group they are in. It also states that there was unsuccessful blinding of the physiotherapists as they were aware of which patients were in each group. This is a weakness of the study as it allows there to be bias, resulting in the internal validity of this research being compromised. The results are clearly explained and show that although there were significant differences in shoulder function throughout different stages of the trial. After the fourth follow-up, there was found to be no significant difference between the two groups. However, although all patients received the same physiotherapy treatment by the end of the trial, the patients had varying types of surgical treatment. For example, some had Breast Conserving Therapy (BCT), others a Modified Radical Mastectomy (MRM) and few were also offered Radiation Therapy (RT). Therefore, the results also concluded that there were differences in shoulder function depending on what surgical intervention had been provided. Other research undertaken has found that surgery such as a mastectomy can result in patients having greater impairments compared to other surgical interventions (EWERTZ., M et al, 2010). Hence, there is a requirement for more research to be done regarding how different types of surgery affect shoulder function after operations. 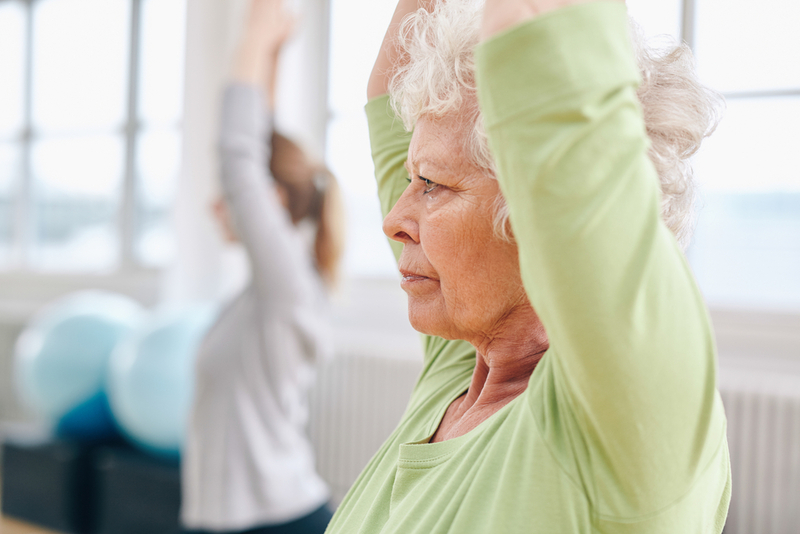 This study concluded that group instructed physiotherapy sessions help to improve shoulder function in patients who undergo breast cancer surgery. It was found that patients undergoing BCT had better outcomes of improved shoulder mobility than patients undergoing MRM. Therefore, more specific research would need to be undertaken to make the research more reliable for a wider population.